Considering the prevailing threats across the Line of Control (LoC) against Pakistan and the Line of Actual Control (LAC) against China, the Government has finally woken up and extended full financial powers to the Vice Chief of Army Staff (VCOAS) to maintain adequate stockpiles and combat readiness for "short and intense wars"
In recent times availability of ammunition has been a matter of great concern because the shortages take time to be replenished and the procedure for the same is quite lengthy due to limited financial powers given to the army for procurements through revenue budget. This had led to a situation where the ammunition reserves of the army had dwindled alarmingly and even training ammunition had to be curtailed thus affecting soldiers training. Such a situation if it continues for a longer duration then a backlog is built up due to which the annual revenue budget for procurement of munitions is not enough to cater for the current years requirements as well as the deficiencies built up over a period of time. It implies that a short fall in one particular year has a multiplying effect in the next year and if the deficiencies persist year after year then the short fall affects the availability of war wastage reserves which impact the fighting capability of the armed forces. 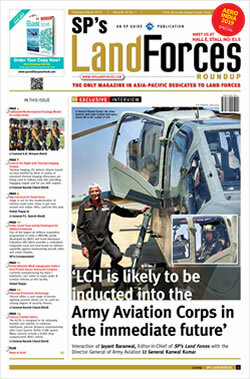 Development of extending full financial powers to the Vice Chief of the Army staff is a step in the right direction because it will now give the army the much needed flexibility of being able to procure the vitally needed ammunition through revenue budget without waiting for clearances through the normal chain of procurement. In India, since independence, the concept and availability of war wastage reserves, called WWR, has always been calculated at 30:30 i.e. thirty days intense rate and 30 days normal rate of consumption during war. However over a period of time this figure was reduced to 20:20 and now as per media reports this figure has been reduced further. 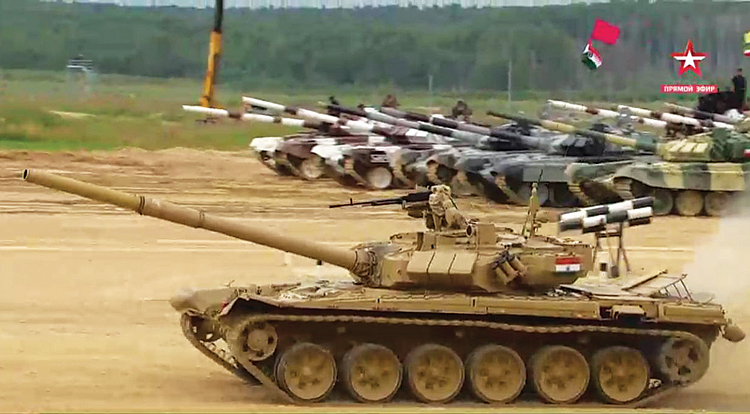 Notwithstanding the figure (ratio), whatever it may be, every year a fair quantity of ammunition is also used up for training of this one million strong army which includes, tank ammunition, artillery, air defence artillery and small arms ammunition and various categories of missiles both ground to air and the anti tank variety. In past the Ministry of defence has never able to meet the requirements of the army fully and the defence budget could not make up the shortfall thus a Catch-22 situation developed. This is the reason that considering the prevailing threats across the Line of Control (LoC) against Pakistan and the Line of Actual Control (LAC) against China that the Government has finally woken up to its own weaknesses and extended full financial powers to the Vice Chief of Army Staff (VCO AS) to maintain adequate stockpiles and combat readiness for "short and intense wars". The cease fire violations on the LoC, the terrorist challenge in the border areas, and the overall threats and challenges perceived have been instrumental in bringing about this change. After the Uri attack in September 2016, where the army lost 20 soldiers, it was reported by the media, that the armed forces had signed emergency deals worth over Rs. 20,000 crore – primarily with Russia, Israel and France to ensure that the forces (warships, fighter aircraft, tanks and artillery etc) could undertake at least 10 days of "intense fighting" without worrying about ammunition and other reserves. 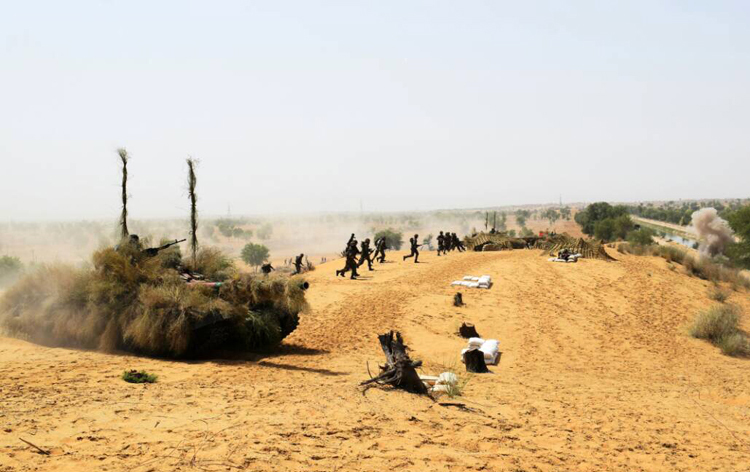 This will also put the onus on the army for any shortfall in any category of critically deficient ammunition for want of which our operational capability is impaired. The present government had set up empowered procurement committees under the Army, Navy and Indian Air Force Vice-Chiefs with emergency revenue financial powers to "make up deficiencies and operational voids" by inking deals over a three-month period at a time. As per media reports the Army, on its part, had identified 22 armaments, 46 different types of ammunition, half a dozen types of mines as well as spares for 10 weapons systems ranging from tanks to artillery guns as "critical requirements", which together would cost Rs. 35,000 to Rs. 40,000 crore. The Armed Forces have already inked 19 contracts worth Rs. 12,000 crore, which includes 11 kinds of ammunition since then. Out of 19 contracts, 10 contracts are with Russian companies for supply of engines, anti-tank guided missiles and Smerch rockets. Some reports suggest that the armed forces are satisfied with these fasttrack procedures to ensure availability and serviceability of existing weapon systems and platforms. It has been reported that the Comptroller Auditor General of India had also taken a note of this alarming state of affairs in a report tabled in Parliament. 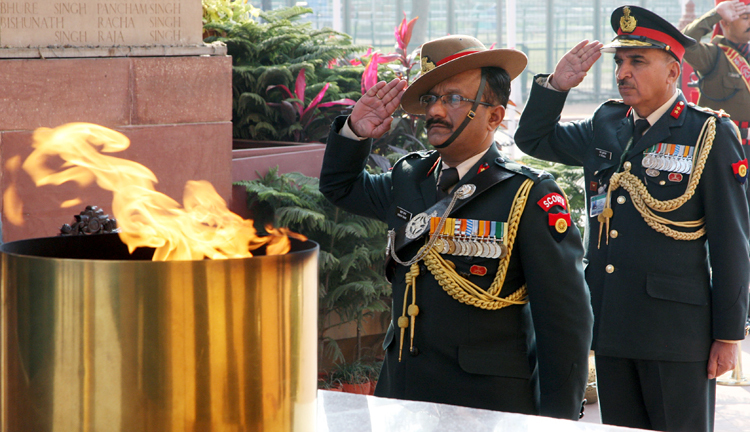 This development of extending full financial powers to the Vice Chief of the Army staff is a step in the right direction because it will now give the army the much needed flexibility of being able to procure the vitally needed ammunition through revenue budget without waiting for clearances through the normal chain of procurement. This will also put the onus on the army for any shortfall in any category of critically deficient ammunition for want of which our operational capability is impaired. However these financial powers alone do not solve the overall problem of a fighting force which is constantly deployed for operations. The defence budget must be adequate so as to exercise these powers. Moreover such powers of fast tracking the procurement must exist with the army for procurement of a variety of smaller weapons and equipment whose requirement is small in numbers such as night vision aids, electronic surveillance and sighting devices, specialist weapons such as sniper rifles and specialist vehicles for the special forces and anti material rifles whose requirement is in limited numbers. We need not wait for years together to procure them. 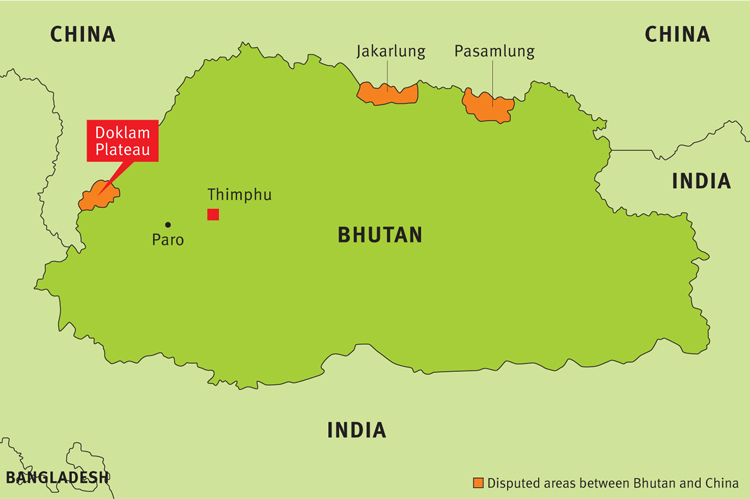 Sikkim Standoff - China's Dilemma?